Tonight at 8/7c, catch an encore of part one of The Blacklist’s midseason premiere, and at 9/8c, be sure to tune in for the conclusion! 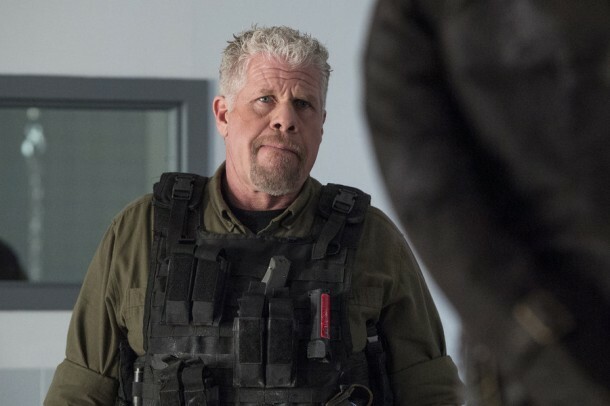 Guest star Ron Perlman returns as Luther Braxton in the all-new part two. Ron Perlman and Gloria Reuben guest star when The Blacklist moves to its new night and time, Thursdays at 9/8c. Cooper goes toe to toe with the CIA when The Blacklist moves to an All-New NBC Thursday at 9/8c on Feb 5. Red (James Spader) takes on arch criminal Luther Braxton (Ron Perlman) to save Liz when The Blacklist moves to an All-New NBC Thursday on Feb 5 at 9/8c.